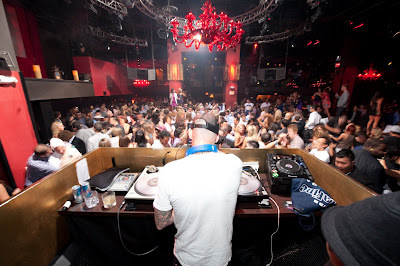 Monday night the fashion world converged on TAO Las Vegas for MAGIC’s Official Kick-Off Party. 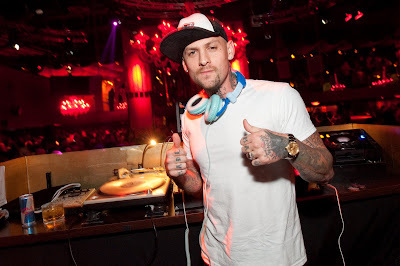 Benji Madden arrived at 11:30 PM and took over the DJ booth to the welcome cheers of guests on the dance floor. 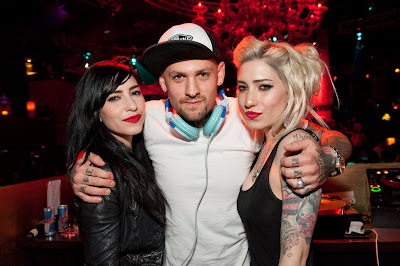 Sisters Jessica and Lisa of the Australian electro-pop group The Veronicas were in the crowd to see their friend Madden, dining at TAO on vegetarian fare before heading up to the nightclub. The duo even climbed into the DJ booth to dance behind Madden for a bit before returning to a nearby VIP table by where 15 of Madden’s friends held court while their friend was spinning at the club.